Flowers can be one of the biggest expenses in your wedding budget. They are also one of the most important elements to your ceremony and reception, and they can make or break your style. How do you use the beautiful flowers you want while staying within your budget? Check out our five ways to save on wedding flowers so you don’t have to sacrifice the elegance. First and foremost, you need to whittle down that wedding party and guest list (see our previous blog: How to Narrow Down Your Wedding Guest List for ideas). Once you have those exact figures, including your table numbers, you’ll know how many centerpieces you need. The fewer the tables, the less money you’ll spend. We know you want to wow your guests with large, striking centerpiece arrangements. However, these centerpieces are the biggest portion of your flower budget, and if you can cut on the amount of them, it can save you tremendously. Try interweaving alternative centerpieces with the floral ones. Fruit, candles, or even stacks of books can make great substitutes. Obviously if you’re buying flowers that are in season during your wedding month, then the cost will be cheaper. (See part 1 of our Wedding Flower Series: Wedding Flowers by Month.) Another thing to consider is your region and climate. If you’re using flowers that thrive in that area, they’ll be strong enough to be repurposed. For example, the bridal-party bouquet can make great decorations for the guest book table, cake table, wedding party table, etc. A lot of brides make the mistake of not trusting their florist and taking on too much DIY themselves. 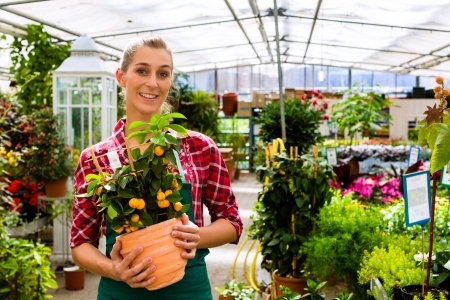 If you have decided to hire a florist you trust, then you should do exactly that. They will know where to get the best deals on buying in bulk. They will also know which cheaper flowers can be doppelgangers for others that are too expensive. Kick back a little, they got this. If you have decided NOT to go with a professional and want to be your own florist, that’s fine. That will cut down on at least one hiring expense. In this case, we would HIGHLY recommend buying in bulk from local farmers. These farmers are more than willing to work with you when it comes to price negotiations, plus you are helping out your local agriculture and economy. Association of Specialty Cut Flower Growers is a wonderful site that can help you source local farms in your area. That’s all for now brides. Stay tuned for part 3 of our Wedding Flower series – coming soon! How are you saving money on your wedding flowers? Let us know in the comments section below. My sister is going to be getting married soon, and she wants to make sure she finds some really pretty flowers to use at her reception. The problem though, is that she doesn’t have a ton of money left to spend on them. That being the case, I really appreciate you giving me some insight about ways she can best save a little money on these flowers. I’ll be sure to show this to her right away so she can begin looking for some. Thanks a ton for the help.